You have a friend who is a copywriter, but in marketing meetings, you hear that the team is in charge of the content writing, so you think to yourself, what’s the difference between the two? The difference lies in the purpose of writing the content. The two terms might sound very similar, but they are different in meaning when it comes to what and why you are writing. Think of copywriting as writing for pages on a website, a press release, or a promotional flyer. Think of content writing as shorter blurbs you would write for social media posts - focusing on increasing engagement with your content. Or as Search Engine Journal explains, ”Copywriting means writing for the sake of promotional advertising or marketing. The purpose of content writing is to entertain and entice the online audiences so they stay longer on websites and engage with the brand”. Content writing is essentially what the term says, it is writing content to market your brand. Relevant and quality content will reach your target audience. No matter what you are writing, a good rule of thumb is to use clear, simple, and concise messaging and language. Doing this will allow your audience to easily learn and feel connected with the content. Content writing is geared toward building trust, loyalty, interest, which lead to the ultimate goal of sales and conversions. What are some examples of content writing? Think of content writing as the opportunity to push content out to your audience. You are not necessarily selling something, but more helping the audience to understand your brand and to gain interest. Essentially, content writing is anything that “educates, entertains and informs your audience about a given topic”, as stated by SmartBugMedia. The content pieces have to have a purpose behind them - what is the goal and intent of each piece? A best practice is to have all content aligned with your business and marketing objectives, as this will ensure pushing out the right content, to the right people, at the right time. The trick here, however, is that content writing does not necessarily have to mention your brand. In fact, the best content writers are the ones who can tell a story, craft multiple posts, and write blogs without even mentioning the brand, and still bring in qualified leads (SmartBugMedia). Because content writing pieces are seen heavily by your target audience, it gives you the opportunity to position yourself as a thought leader and expert in your industry and customers eyes. So, make sure you are pushing out great content! Copywriting, on the other hand, is a little different. Copywriting essentially “involves content writing, but in an attractive form, so that it grabs the attention of the audience immediately”, as explained by Search Engine Journal. I mentioned before that content writing is not about selling the brand or a product, but more about pushing information to the audience to entertain, educate and inform them. Copywriting is quite the opposite. Its purpose is to sell the brand, products, and services. Copywriting is focusing on selling your brand and showing the audience why your brand is relevant and why it matters. Your copy works to attract your audience's attention and then compel them to make the desired action, all by providing them with an experience. Copywriting is focused on the now, so ask yourself, ‘what are our short-term goals, and how can they bring in sales? The copy is “usually the focus of ads, sales letters, sales emails, PPC landing pages, etc. according to SmartBugMedia. 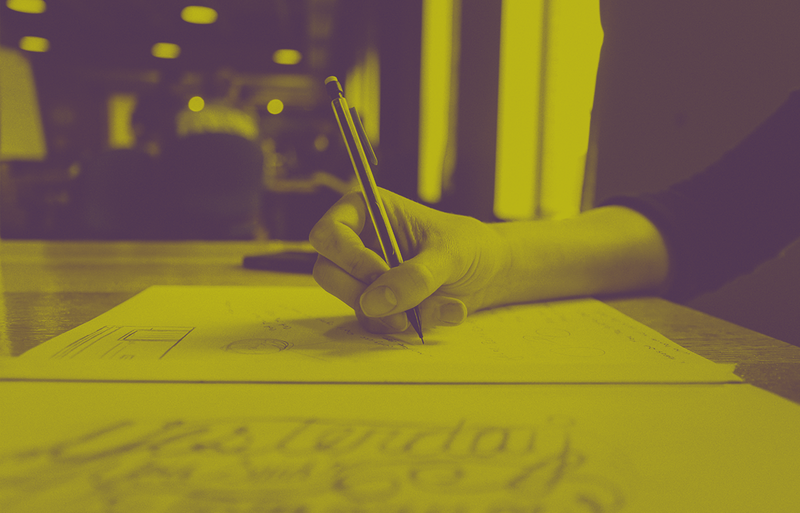 Good copywriters can craft compelling headlines, subject lines, and call-to-action buttons, all in order to entice the visitor to take action. Back in the day, copywriting was considered a part of advertising. Nowadays, copywriting exceeds well beyond just advertising. It is instrumental in the way web content is changing and how search engines crawl for information and keywords. There is more to copywriting than just advertising, it is changing the way people (and search engines) view content. What are some examples of copywriting materials? You might see a few of the same format as content writing examples. There is definitely overlap with the type of content, but remember, the main difference lies in the purpose of the content. Copywriting is all about selling an idea, brand, service or product, all in a campaign. As we have seen, copywriting and content writing are different in their purpose and messaging, but they, of course, do share similarities. Both content writing and copywriting work to ultimately convert visitors into leads, and leads into customers. And of course, with all writing, the content and copy need to be well-written. Not only does the messaging and content need to be professional and spelled correctly, but it needs to be on brand and aligned with your overall business and marketing goals. Well-written copy and content will keep your audience interested and compelled to take action. After all, when was the last time you trusted or bought a product from a company who misspelled ‘by now!’? Although video content is the most popular form of content on the world wide web, words are still very much in power. In fact, according to Search Engine Journal, “Words are your most effective tool when presenting your brand online. Both copywriting and content writing are beneficial for branding and marketing of your business. For this, you need to incorporate copywriting efficiently into your content writing”. So, what are you waiting for? Go get started on crafting compelling copy and content for your audience!